In the midst of a relentless downpour, jazz lovers flocked to the Bitter End – New York’s “oldest rock and roll club” – to partake in a feast for the ears, six dynamic bands, of all shapes and sizes, back-to-back. The event was part of New York’s annual Winter Jazz Fest, which took on the enormous task of presenting ninety performances at multiple venues throughout the city, over five-days. Despite the inclement weather, the event was a resounding success. The last time I saw New Yor-Uba was at The Roulette (Brooklyn) where the ensemble made its debut. 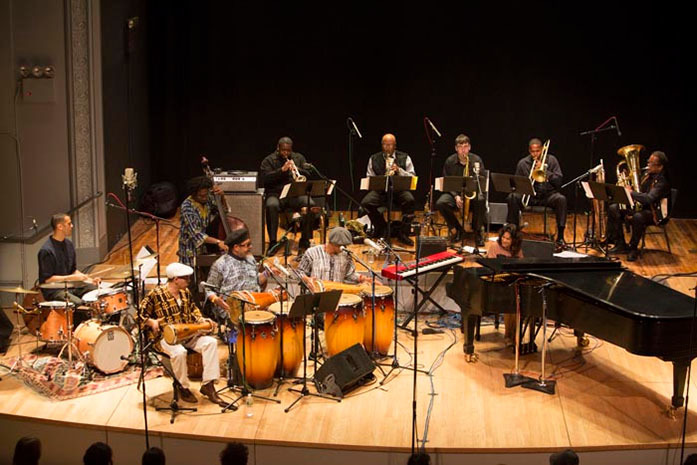 Shortly thereafter, the ensemble went into the studio and recorded the highly acclaimed New Yor-Uba, 30 Years, A Musical Celebration of Cuba in America. 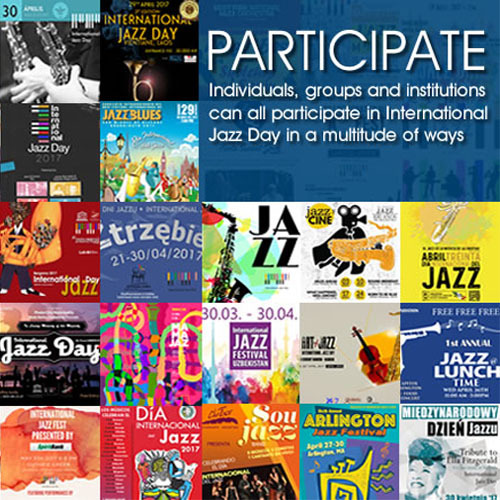 Since then the ensemble, and its leader have been nominated in multiple categories in The Jazz Times Readers Poll and the recording has been declared the #1 Latin jazz recording of the year by National Public Radio’s Critic’s Poll. New Yor-Uba inherits its name from the progression of the Yoruba people (Nigeria) through Cuba to present-day New York. The repertoire consists mostly of original compositions (penned and arranged by Ms. Rosewoman) and merges two distinct streams of consciousness, Cuban folkloric music and Jazz into one – without compromising the fundamental essence of either. If you’ve never experienced New Yor-Uba live, it’s the equivalent of partaking in an authentic Cuban rumba, a sacred ceremony, a jazz concert and Sunday mass at a Gospel Church, simultaneously. The soul stirring harmonies and chants the deep, hypnotic rhythms of the (sacred) Batá drums and the jazzy, free flowing solos combined with the divine nature of the music are a testament to Ms. Rosewoman’s vision. During a set that was all too brief, the ensemble performed selections from the new recording. As is the ensemble’s custom, it paid its respects to the ancestors, various deities in the Yoruba pantheon and mentor and former ensemble member, Orlando “Puntilla” Rios (1947-2008), whose angelic voice and profound knowledge of Afro-Cuban folklore is central to the ensemble’s concept and repertoire. In all, the set was sublime. Memorable moments include the ensemble’s interpretation of “Old Calabar”, featuring the dynamic master percussionist/vocalist Román Diaz. The tunes deep, pulsating rhythms and improvised vocals conjure up visions of its namesake, a major port in the transportation of slaves during the 16th century. “Por Ahora y Siempre” grandiose and somewhat quirky introduction paved the way for a playful interaction between the batá players and the instrumentalists. As for the rest, you had to be there! I would be remiss if I did not mention the fact that I hung around to catch Gravity, led by tuba, baritone sax and cornet player and original member of New Yor-Uba, Howard Johnson. Suffice it to say, you haven’t lived until you’ve heard Aretha Franklin’s “Natural Woman” and Mc Coy Tyner’s “Fly Like the Wind”, interpreted by five tubas and a hard-driving rhythm section (and I do mean hard-driving). The band gives new meaning to the words “exceptional” and “unique.” But, that’s a story for another day. Congrats to the organizers and everyone involved in the Winter Jazz Fest, who pulled things off in a very big way. New Yor-Uba is: Alex Norris, trumpet/flugelhorn, Immanuel Wilkins, alto/soprano saxophone, Stacy Dillard, tenor saxophone, Vincent Gardner, bone, Joe Exley, tuba/bari sax, Michele Rosewoman, keyboards/vocals, Gregg August, bass, Tyshawn Sorey, drums, Román Diaz, batá/congas/vocals, Nicky Laboy, batá/congas/vocals, Gene Golden, batá/congas, Nina Rodriguez, vocals.